Aided by publishers like Warren and EC, the horror genre built itself into the foundation of sequential art just as vigorously as superheroes, romance or science fiction. When psychiatrist Frederic Wertham published the misguided comics-skewering Seduction of the Innocent in 1954, the moral crusade was in response to the glorious groundswell of murder, corpses and grotesquery on the comics rack. Despite the beating the genre took from the ensuing Comics Code Authority, horror has spent the following decades creeping out of the recesses around mainstream publishing, with Dark Horse, Vertigo, Image, Humanoids and various manga lines filling our nightmares with harrowing new atrocities. 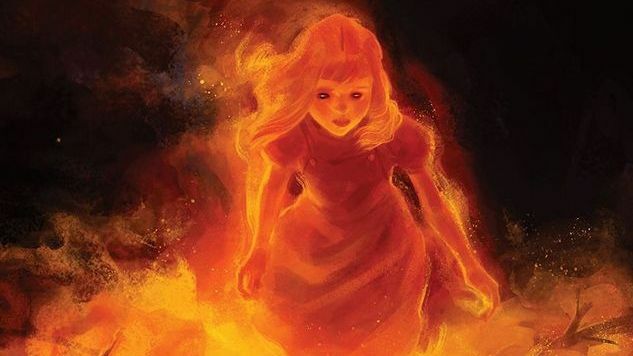 In honor of Halloween, this list proudly presents our favorite comic book chillers, thrillers, slow burns and monster mashes, guaranteed to terrify and provoke readers with all the gory gifts this niche offers.